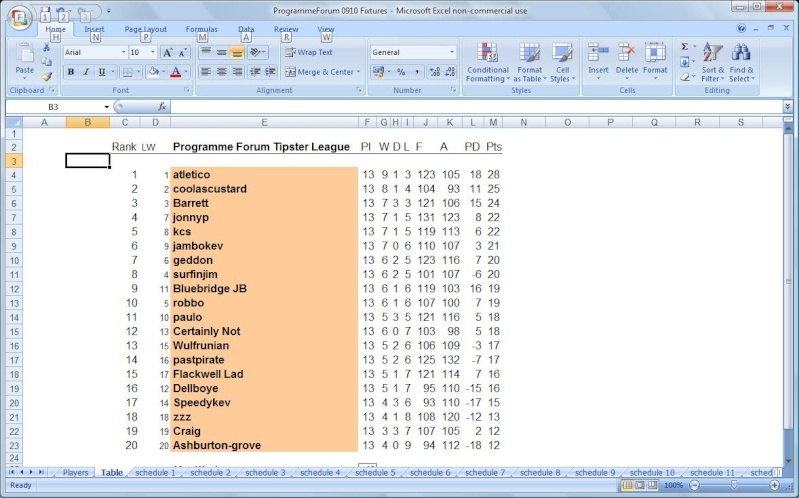 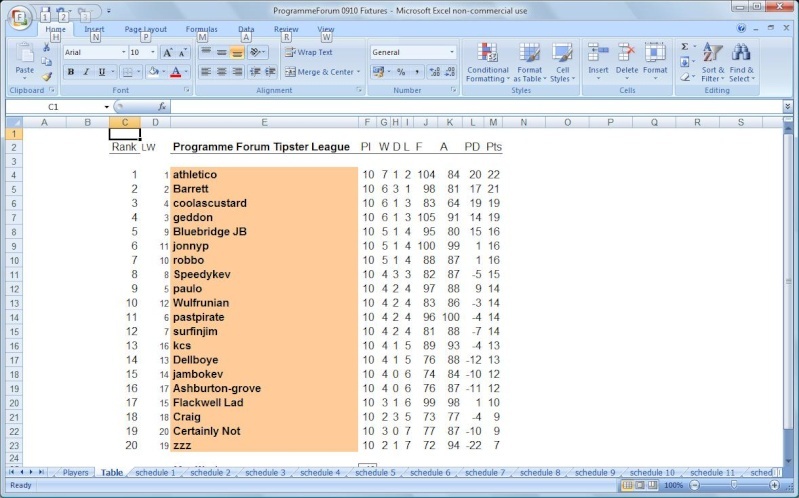 To be updated after Monday's game determines the final results but in the meantime..
Athletico has opened up a significant gap with 22 pts, Barrett is on 18, Geddon and Coolascustard are on 16 (Dellboye can join them on 16 with a win) and a host of others on 14 and 13 pts. 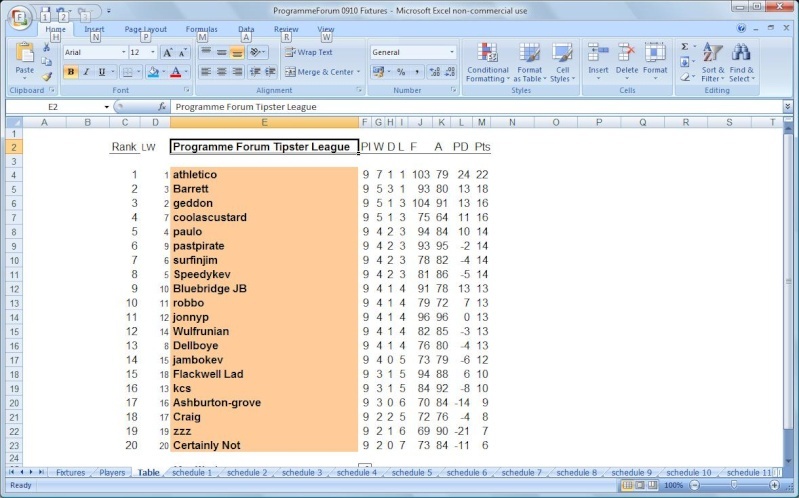 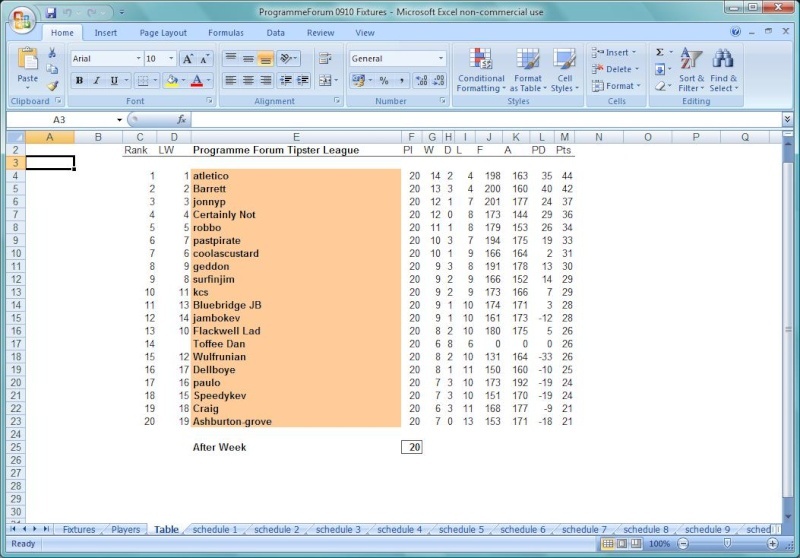 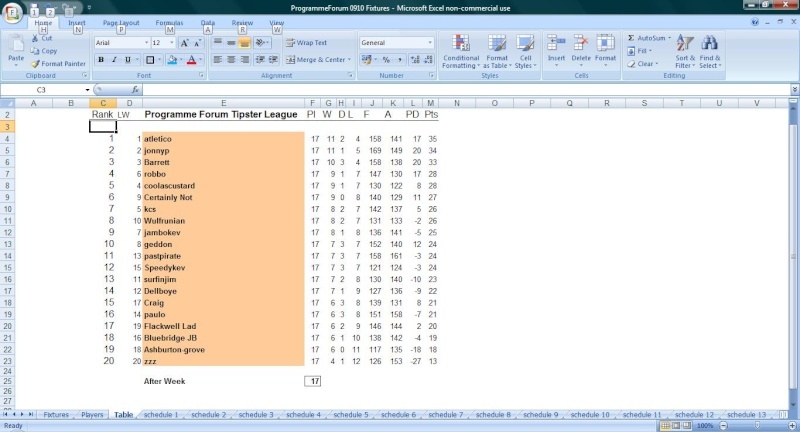 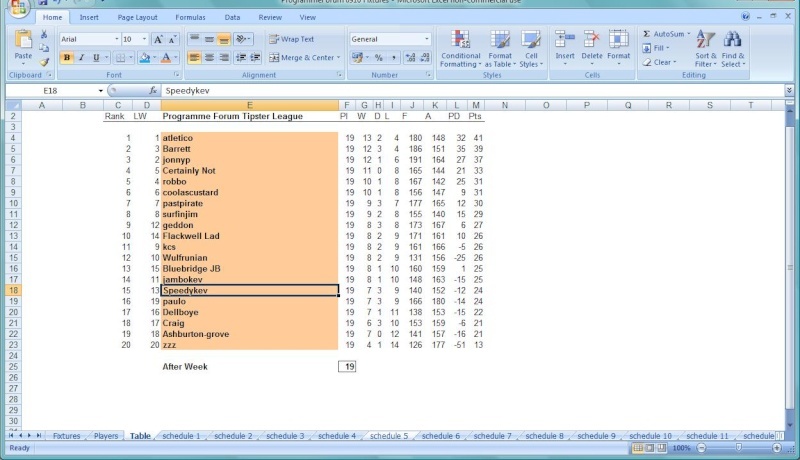 Not wishing to judge the educational standards of Lancashire too harshly Dan (snigger snigger) but adding a marvellous 9-5 away victory to a 79-72 goal difference doesn`t equal 88-87. Deliberate mistake of the week.. you're up one place ..
Glad to see that just like my team I am thundering through the league. Downwards of course. 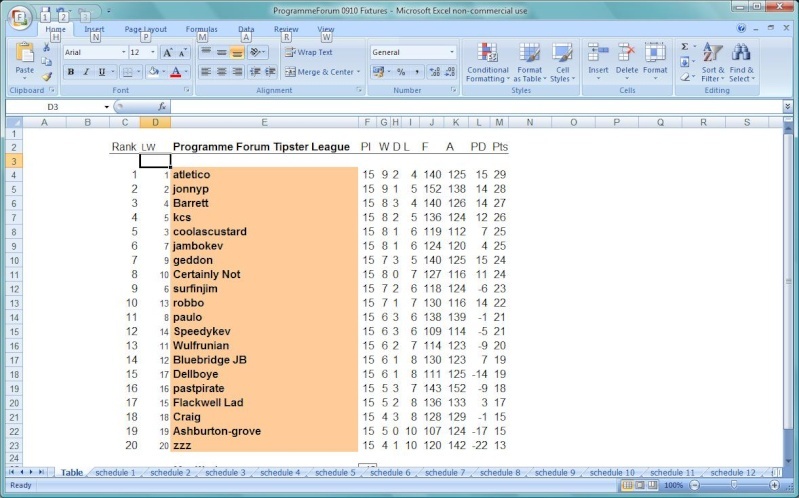 Looks like a play off spot for me. Althetico is like Leeds! 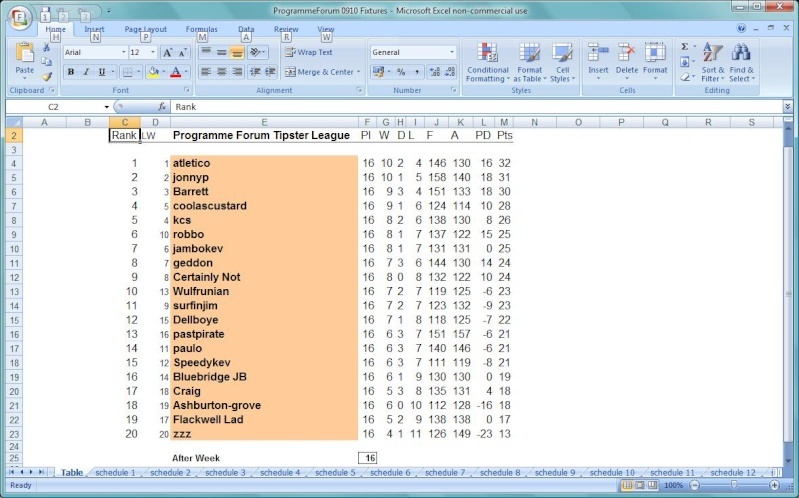 Table will be posted as soon as Windows Vista behaves..